Roof damage is a serious problem. It’s something that needs to be dealt with as soon as possible. However, repairing or replacing a roof is not something that you should be doing on your own, as a quick-fix, DIY project. That’s a job for an established roofing service you can rely on. We pride ourselves on being a professional roofing company in Saint Johns that you can trust with all things roof-related. Our Saint Johns roofers are ready to provide you with top-quality service at great prices. Furthermore, all of our roofing products are built to last, so when you choose our service, you know exactly what you are getting. Roofs are meant to last for about 20-30 years. If you’ve just bought a house, it’s important to have your roofing system checked out immediately. Don’t take your chances or you may be in for a nasty surprise. A leaky roof may sound like a minor issue, one that can be easily fixed. However, that’s as far from the truth as you can get. Leaks can cause serious damage to your ceiling and attic. Mildew and mold that inevitably builds up due to dampness in your home can lead to serious health issues. There are several reasons why a roof can leak. Your shingles may have blown off during a storm, or you may have the wrong roofing materials installed. Whatever the problem may be, our roofing company in Saint Johns can help you solve it. Our services include roof repairs, asphalt shingle roof replacement, skylight installation, new home construction, solar attic fans, and metal roofing in Saint Johns. All in all, any problem that’s roof-related, we will take care of. We pride ourselves on being a team that provides top-quality service, so you’ll never have to worry about your roof again. Don’t forget; it doesn’t take much of a leak to make your walls, floors, and ceiling deteriorate. Our positive reviews and five-star ratings speak for themselves. When you call our service, you can rest assured we’ll get the job done fast. Our team is made up of the best of the best and we never use subcontractors. We run background checks before hiring anyone, so we can assure you that your roof will be repaired by serious professionals. Our business is a well-established one that keeps on growing. Homeowners hire us to perform new and demanding projects every day. No two homes are the same, and we take special care to improve yours in the best way possible. After we’ve finished, your roof will be in tip-top condition. If you’re in need of a quality roof replacement in Saint Johns, FL there’s no need to worry. We’ve got you covered. Saint Johns is nuzzled in northeast Florida. It has a beautiful downtown area with plenty of wonderful sights to see. The arts and culture attract both a younger and older crowd. Palm Valley and Nocatee are among the top places to live in this county, with a welcoming neighborhood and an excellent educational system. For anyone looking to get away from the fast-paced city life, Saint Johns is the perfect place to live. Repairing a damaged roof is something that needs to be taken care of immediately. Don’t overlook this project just because you think it can wait, or you think it’s too expensive. 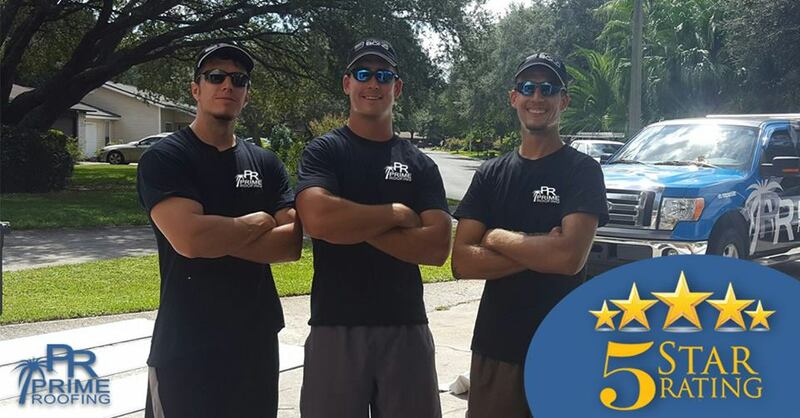 If you would like a team of professionals on your side, call our roofing service at (904) 530-1446. We even offer free consultations for any roof-related matter. Keeping your roof “healthy” is our specialty. They replaced the skylights and did some roof repairs as well. Professional, prompt, and reasonably priced. I highly recommend them.